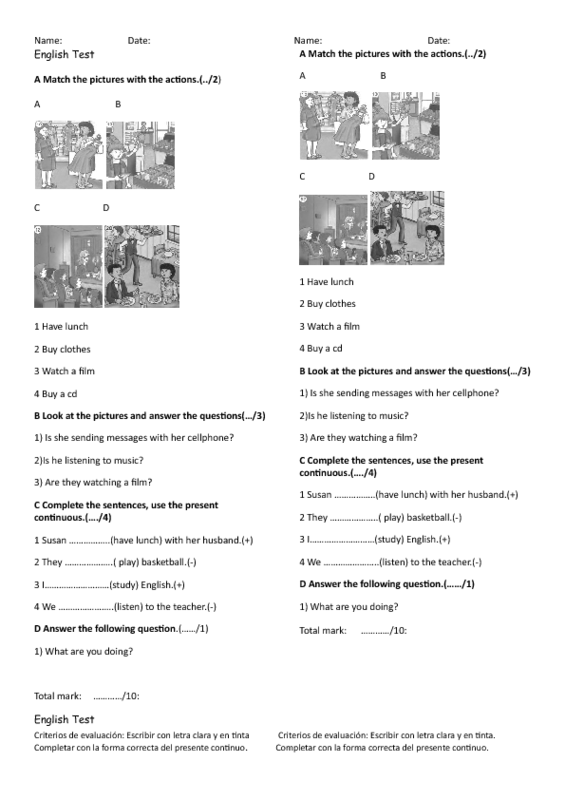 This is an English test where teachers can asses the present continuous tense with vocabulary related to places and activities in town. Firstly, the students have to do a matching activity. Then, they have to look at the pictures and answer three questions .Finally, they have to complete sentences.